To Have and To Hold | "In good writing, WORDS BECOME ONE with things." This is just exactly Henry and Arden. I was sitting in a nearby chair, pumping, as one does, when I noticed she had stockpiled all of the toys, leaving him with just two. She also noticed she was missing one, and is crawling to secure it. Henry is just at the brink of crying because everything he has picked up, she has taken. This happens all the time and it is so funny. They love to sit and play together, but Arden has started swiping whatever she can get her hands on and it makes us laugh out loud. Henry usually doesn’t mind; he lets her have it, almost with a roll of the eyes, like whatever, sis, I’ll just find another one. But this day she took it too far — and when Henry looks to me with that face (that face!) it crushes me. He is as easy-going as babies come, so any degree of sadness or anger prompts me to rescue my little man (and I love it). Arden never betrays a feeling of guilt. She just looks up like, what? Aren’t all the toys mine? What’s sweetest about this right now is there’s no attitude yet. 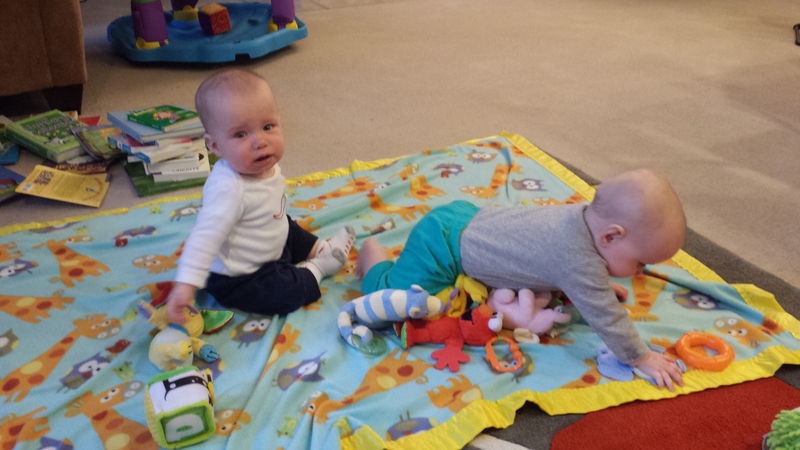 They’re only seven months old, so it’s not like they’re taking toys from each other and throwing tantrums because of it. They just kind of look at each other like, “I had it, now you have it. Oooo something shiny…” and they’ve forgotten it already. Henry also swipes her toys, and she thinks it’s a game and they go back and forth. Their history actually makes this much funnier than at first glance, dating back to their days in utero. Throughout most of my pregnancy, Arden measured bigger than Henry (never to an alarming degree, never approaching the twenty percent difference “concern” zone). 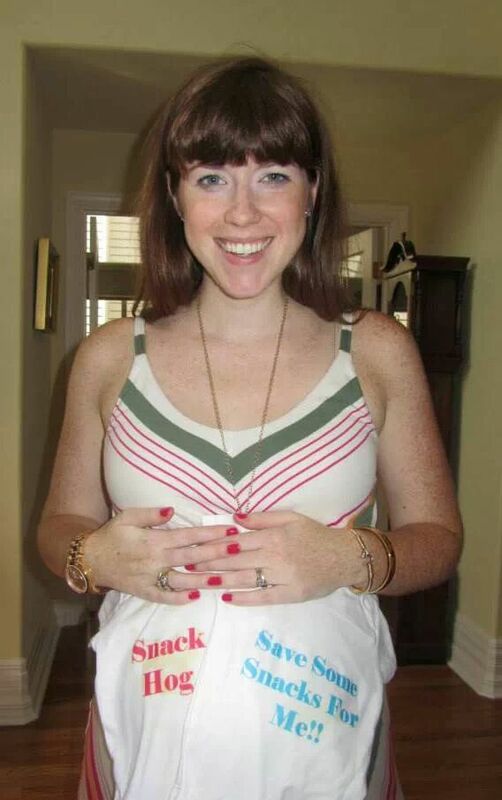 This prompted family and friends to call her the “snack hog” because she must have been stealing all the food I’d eaten to get so much bigger than him. Of course this was impossible, as they each had their own placenta and amniotic sac, but it helped us give them little personalities early on, so the joke continued. By the end of the my pregnancy the doctor estimated they were about equal in size, though she couldn’t have been more wrong — Arden came out a full two pounds one ounce heavier. She’s been the queen of snack stealing ever since, and now, as any good queen would, she has expanded her empire to toyland. I love this! Especially having witnessed it! Haha yes, you saw it in action! His face! So sweet and sad! That photo, and their personalities are hilarious!